You’re excited about the prospect of building and sustaining a fruitful real estate career, but you don’t know how to distinguish yourself from the rest and stand out in this new web savvy world of real estate. 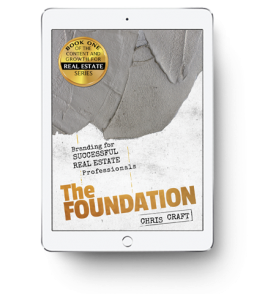 The Foundation: Branding for Successful Real Estate Professionals will help you uncover, discover, develop and maintain your personal and business brands as a real estate professional. Reading and implementing the tips from this book will help you become confident in your calling, differentiate yourself from the pack and bring in more clients. Even more, The Foundation inspires you to take action! Purchase The Foundation (PDF format) for $5 today! 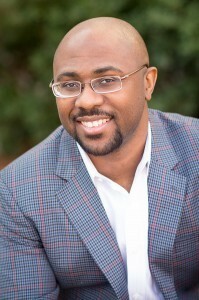 Chris Craft is a Christian writer and the author of The Foundation: Branding for Successful Real Estate Professionals. Through his work helping real estate firms and agents build their online brand and web presence from soup to nuts, Chris realized that a well-defined brand and web presence are the foundation for real estate professionals to develop a rich and fulfilling career that will help themselves, their families and countless clients. Chris wrote The Foundation to help real estate professionals understand the importance of brand building and how it translates into leads, sales and fulfilled dreams for their clients.